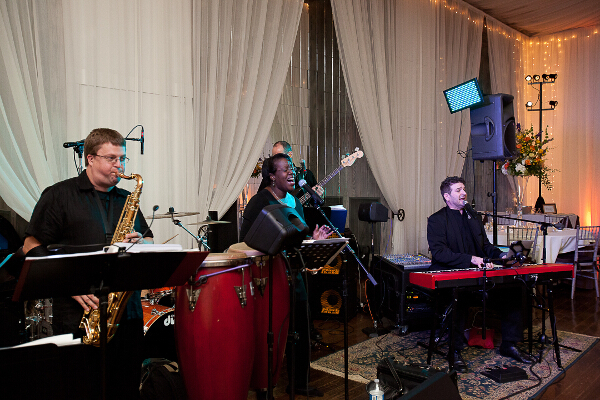 Combining critically acclaimed musicianship with a vast repertoire of music ranging from The Beatles, Van Morrison and Elton John to Marvin Gaye and Ray Charles to Duke Ellington and Frank Sinatra, The Adrian Duke Project is a perfect fit for everything from a wedding reception to a company holiday party. 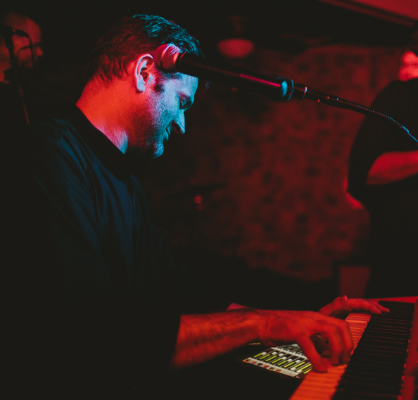 Playing a funky mix of motown and soul, jazz and swing, and good ol' rock-n-roll, The Adrian Duke Project has pleased crowds at wedding receptions, corporate events, festivals, and concerts from . . .
Basin Street - Harry Connick Jr. Imagination - Harry Connick Jr.
Lazy River - Harry Connick Jr.
Lazybones - Harry Connick Jr.
Love is Here to Stay - Harry Connick Jr. Please Don't Talk About Me - Harry Connick Jr. The music really helped to set the vibe for the night, especially the three things we wanted: classy, fun, and for everyone to enjoy themselves. 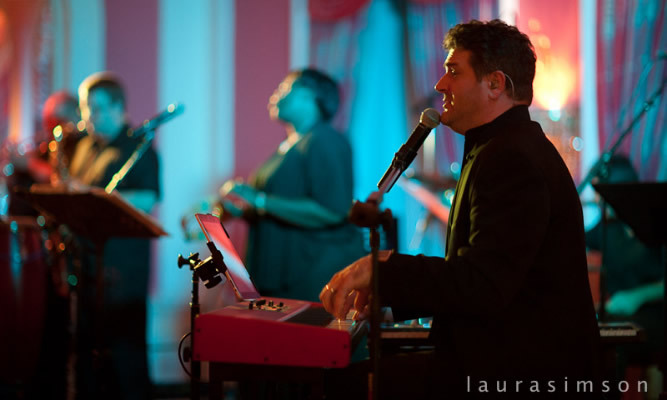 Combining critically acclaimed musicianship with a vast repertoire of music ranging from The Beatles, Van Morrison and Elton John to Marvin Gaye and Ray Charles to Duke Ellington and Frank Sinatra, The Adrian Duke Project is a perfect fit for everything from a wedding reception to a company holiday party. 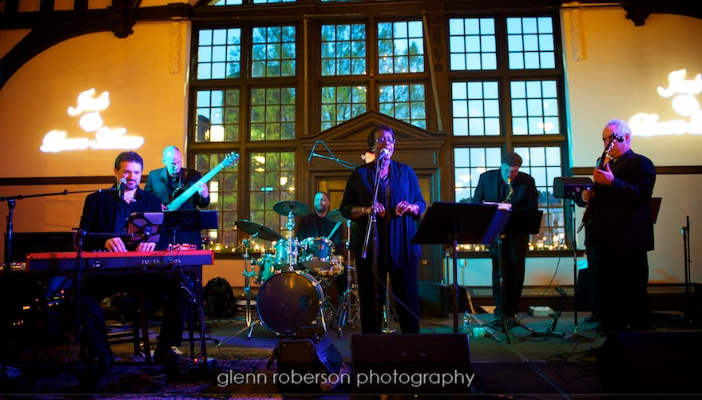 Playing a funky mix of motown and soul, jazz and swing, and good ol' rock-n-roll, The Adrian Duke Project has pleased crowds at wedding receptions, corporate events, festivals, and concerts from Atlanta to Baltimore and everywhere in between. In 2007, Adrian was selected to be part of the band used as Richmond, VA's "Royal Welcome" for Queen Elizabeth II, and he has headlined festival stages throughout the Mid-Atlantic. It is this pedigree that separates The Adrian Duke Project from the average "variety band" - he plays the songs you know and love, and leaves the cheese behind! 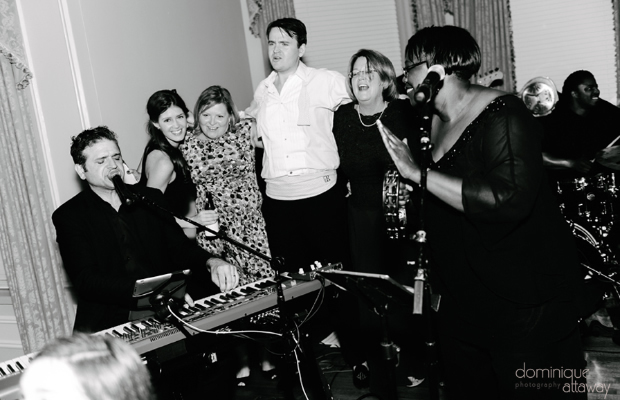 As the bandleader, Adrian makes every effort to ensure your event will be a night to remember for all the right reasons. 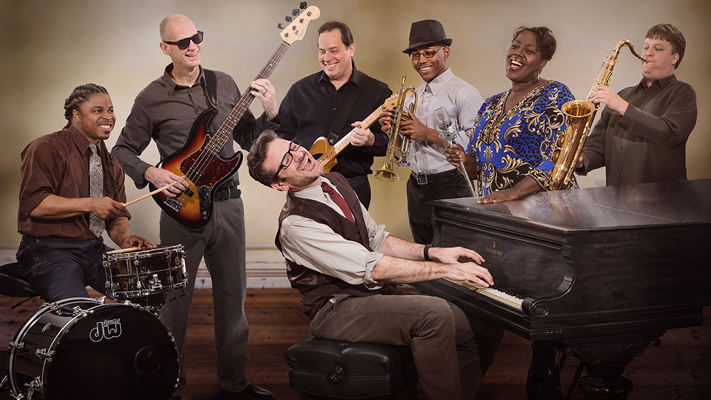 The Adrian Duke Project is a full seven-piece band, including trumpet and sax as well as the soulful stylings of female vocalist Theresa Richmond. 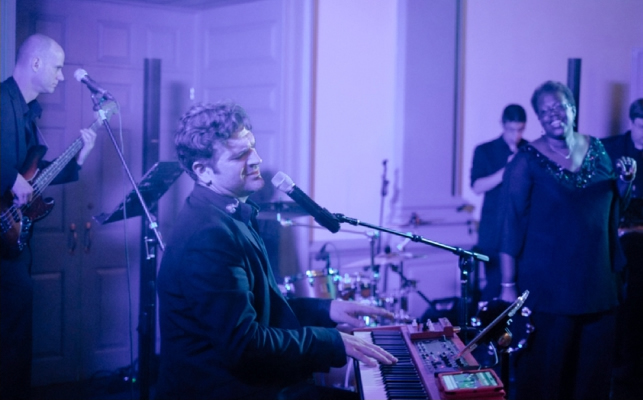 Adrian is also capable of playing any number of classical pieces for a ceremony, performing solo or as a combo with other members of his band for cocktails, and playing a relaxing set of jazz and swing standards for dinner sets. 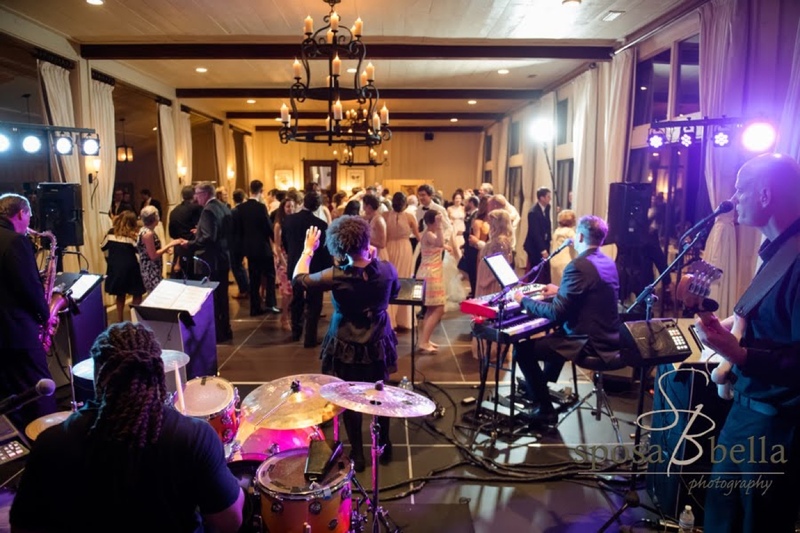 Event planners and clients alike commonly note how professional and easy to work with Adrian is, as he focuses on tailoring the band's setlist and style to the needs of each event. Adrian will even learn several songs for any event, provided it's something that fits within his broad style of music. He's learned everything from Widespread Panic to "The Final Countdown" to ensure that everyone leaves happy at the end of the night. 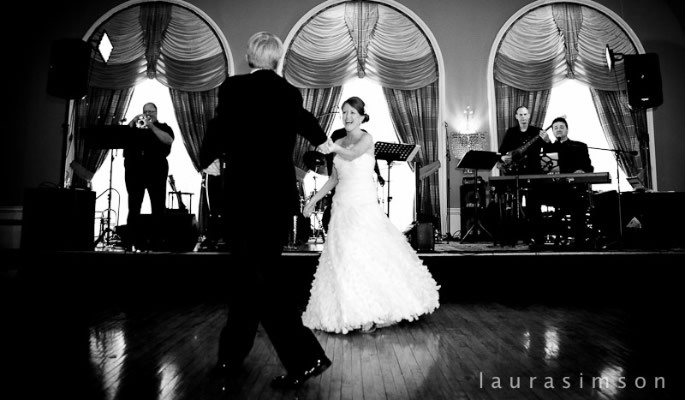 5-star Review on TheKnot.com posted 09/12/2017 "My (now) husband and I LOVE to dance. 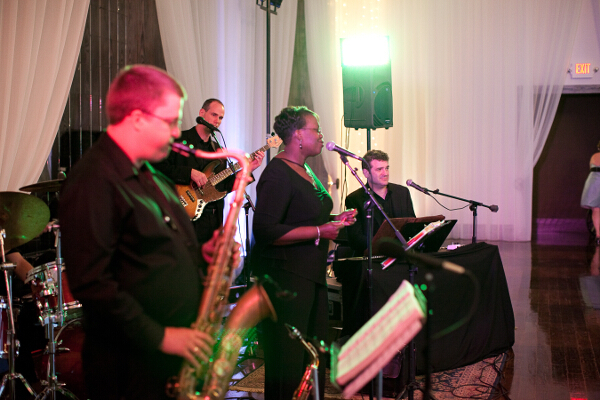 It was the number one priority for us to have a fun band at our wedding, and Sam Hill Entertainment did not disappoint. I had heard Adrian Duke Project previously, but when I inquired with Andy at Sam Hill, he made it happen for us!! Their communication to us was always prompt and kind, as well as extremely informative and personal. As far as bands go, Adrian Duke Project was 10/10 and would highly recommend them to anyone looking for a wedding band!! They were so fun and talented and kept the energy alive the entire night!" From: Kim DePiano Date: Tue, Aug 19, 2014 at 9:13 AM Subject: Re: The Adrian Duke Project To: "Beth @ Sam Hill Entertainment" Beth, The band was fantastic!!!! The dinner music was just what we wanted Jazzy and classic and the after dinner music was just great too. Everyone had nothing but praise about our band choice and everyone got up to dance, so much fun best wedding ever..Thank you again for all your help in this and please let Adrian know how much we enjoyed working with him. Thanks again, Kim. 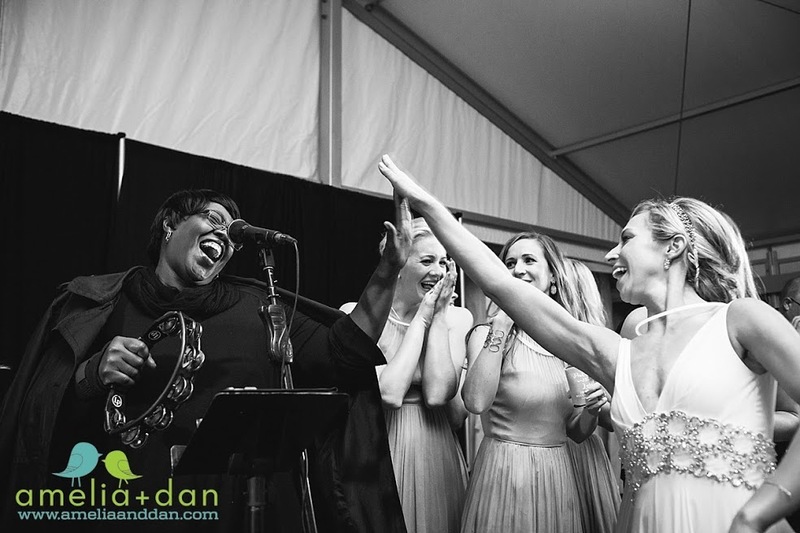 "To the Adrian Duke Project, Thank, from the bottom of our hearts, for playing at our wedding. 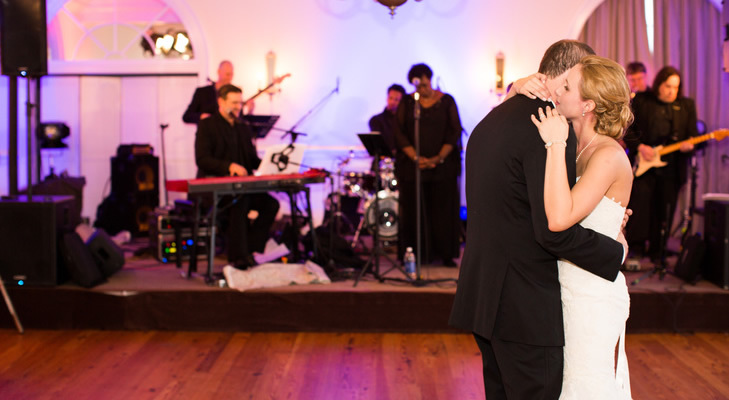 We are convinced that over everything else, the music and talented people playing it all night, made our wedding complete. Our guests have not stopped talking about how much they enjoyed you, and we could not be any more greatful or glad that we chose you for our big day! Cheers & Harmony to you all, Maureen & Tim Danos"
From: S. Dickinson Morris Sent: Wednesday, April 06, 2011 11:16 AM To: Andy @ Sam Hill Entertainment Subject: Re: Adrian Duke at the Burrow-Gartland Wedding Andy, Thanks for your email! Adrian Duke and his band could not have been easier to work with. He was very responsive to all my emails before the event -- reviewed the timeline and asked questions... and then was easy to work with the night of the event. They were also flexible with timing...which was awesome. He made my job much easier... I would jump at the chance to recommend Adrian and his band again! Please extend my thanks! Dickie Morris "Just A Little Ditty Events"
From: Joy Hinkle Sent: Monday, October 26, 2009 7:21 PM To: Hank Wells @ Sam Hill Entertainment Subject: Re: The Adrian Duke Project It was more than a big hit it was a huge hit!!! Everyone kept commenting on how awesome the band was and how much they loved it. THank you so much for the tip to book them! From: Esme Pitard@ The Homestead Sent: Friday, May 29, 2009 7:59 AM To: Hank Wells @ Sam Hill Entertainment Subject: Re: The Adrian Duke Project for Yeager-Cross Wedding Hank, Keep booking this band! They are not only great musicians, but they are so easy to work with. Adrian will do anything to make sure the bride and groom are happy. I look forward to seeing them again in August - and hopefully again and again. Best, Esm? Esm? T. Pitard, CMP Social Catering Manager The Homestead....the birthplace of southern hospitality. -----Original Message----- From: MSC Concierge Desk Sent: Tuesday, June 05, 2007 5:22 PM To: Heather @ Sam Hill Entertainment Subject: Brandywine Realty Trust I wanted to let you know that Adrian Duke was absolutely awesome today. The feedback was wonderful and today in particular several tenants came up to me as asked me to book Adrian Duke again for next year! Sydney Thomas Main Street Centre Concierge Executive Concierge of Virginia, Inc.